The National Course at ChampionsGate Golf Resort is an 18-hole regulation length golf course in Davenport, Florida. This championship layout plays extremely long from the back tees. However, good shots are rewarded and though quite challenging, this course plays fair. There is another course at this same golf club, the International Course. Online tee times may be available at ChampionsGate Golf Resort or at nearby golf courses, often at a substantial discount from the going green fees rate. Even though our info we have is mostly accurate, sometimes there will be mistakes. Should you find any mistakes, please fill this out. 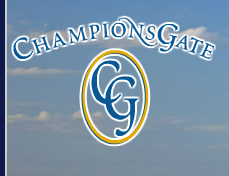 There is a Yelp.com page for "ChampionsGate Golf Club - Champions Gate, FL"
The score on Yelp is 4.5 out of 5. That score is an average of 7 ratings, and it is rounded to the nearest 0.5. Also note that sometimes Yelp excludes from that score any reviews that that it classifies as "not recommended."